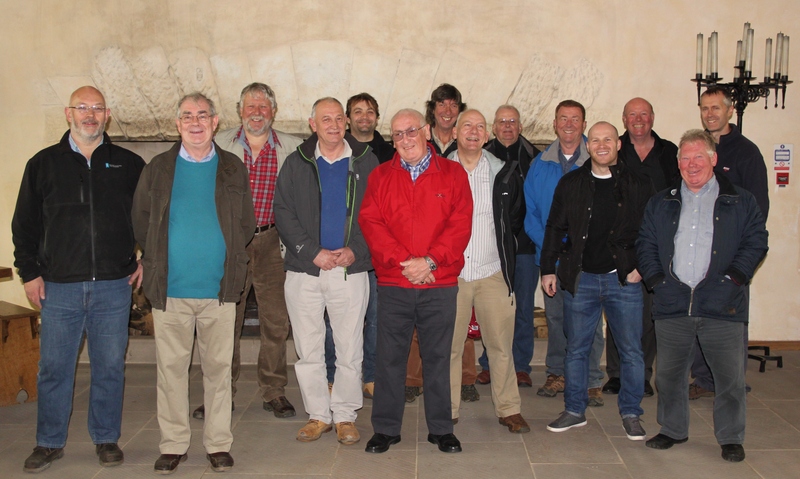 At their May meeting, Deacon Stuart Campbell and members of the Incorporation of Hammermen enjoyed a very informative visit to Stirling Castle courtesy of Ian Walker Building Crafts Development Manager of Historic Scotland. Of particular interest to the bretheren was being able to see at first hand the ongoing restoration of the “Bruce” statue. Ian then went on to show and explain the painstaking restoration process undertaken at the Great Hall and the Royal Palace. Pictured in the Great Hall at the front are (L-R) Ian Walker and Deacon Stuart Campbell. This entry was posted in Uncategorized and tagged Great Hall, Historic Scotland, Royal Palace, Stirling Castle. Bookmark the permalink.